What is the takeaway, here, bloke? Big orchestra, small tuba? Or? Stravinsky composed lots of great music. The Philadelphia Orchestra has been great for a long time. Paul Kryzwicki sounded great on any horn he played. Hirsbrunner HB2P is not a very small tuba. 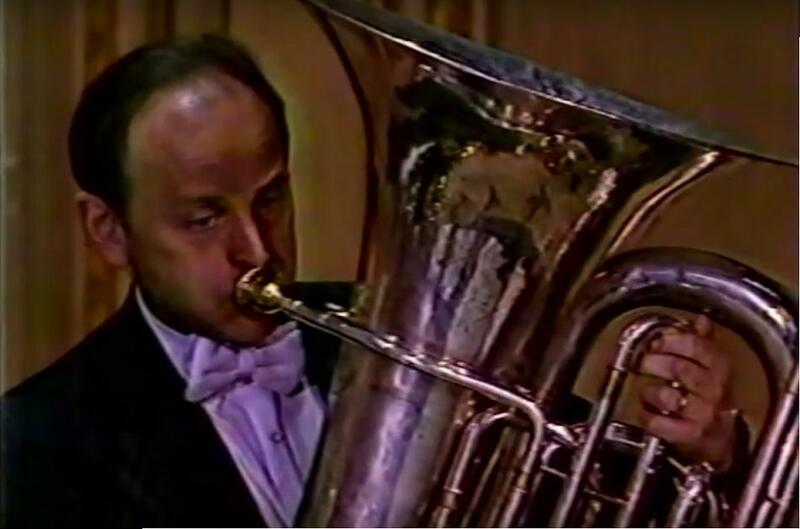 Chicago Symphony - Jacobs played his Alexander F. A 7 valve "double F/C" tuba. Recommended listening. I'm playing that piece later on this year...found this recording...thought it was interesting...linked the video and caught the screen-shot. I haven't played this piece since I played it with the Memphis Symphony in borrowed tails when I was 17. ' first decent-paying orchestra gig ever. It's a great piece (compilation). I thought others would enjoy listening. It's a not-often-listened-to piece, and certainly not on anyone's excerpt radar.